For several decades Francis Lazarro “Frank” Rizzo, Sr. (1920 – 1991) was a dedicated and controversial Philadelphia civic leader, serving as policeman, Police Commissioner, and two-term mayor. This larger-than-life 9′ bronze greets the public on the steps of the city’s Municipal Services Building. 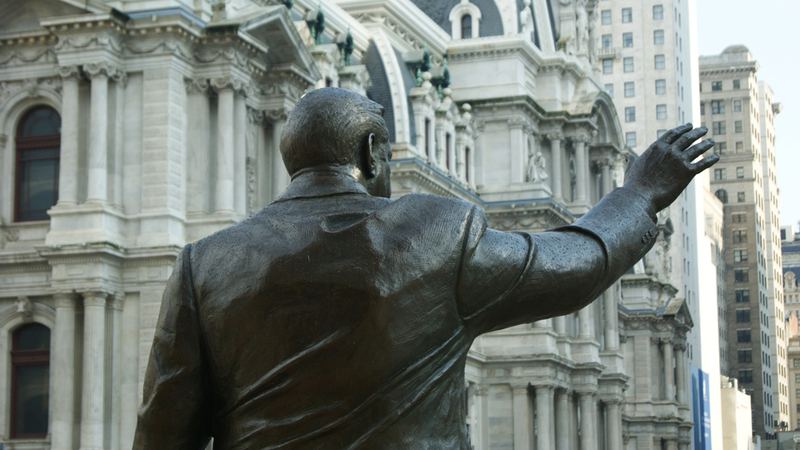 Commissioned by the Frank L. Rizzo Monument Committee, the statue was a gift to the city paid for by contributions from his family, friends, and supporters. 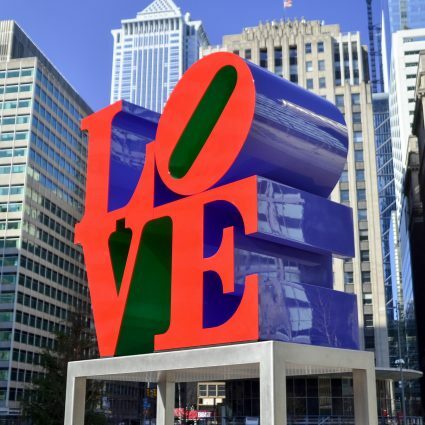 Created by figurative sculptor Zenos Frudakis, who studied at the Pennsylvania Academy of the Fine Arts, it was inspired by a photograph of the late mayor walking in a parade. 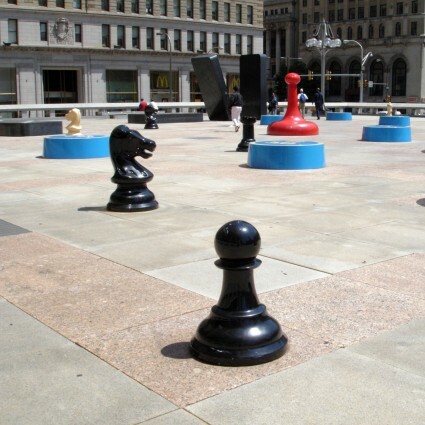 Ironically, it was installed here near the sculpture Government of the People that Mayor Rizzo publicly criticized. Zenos Frudakis is the sculptor of the Frank Rizzo Monument. His work emphasizes the figure and portraiture. Frudakis studied at the Pennsylvania Academy of the Fine Arts and the University of Pennsylvania. 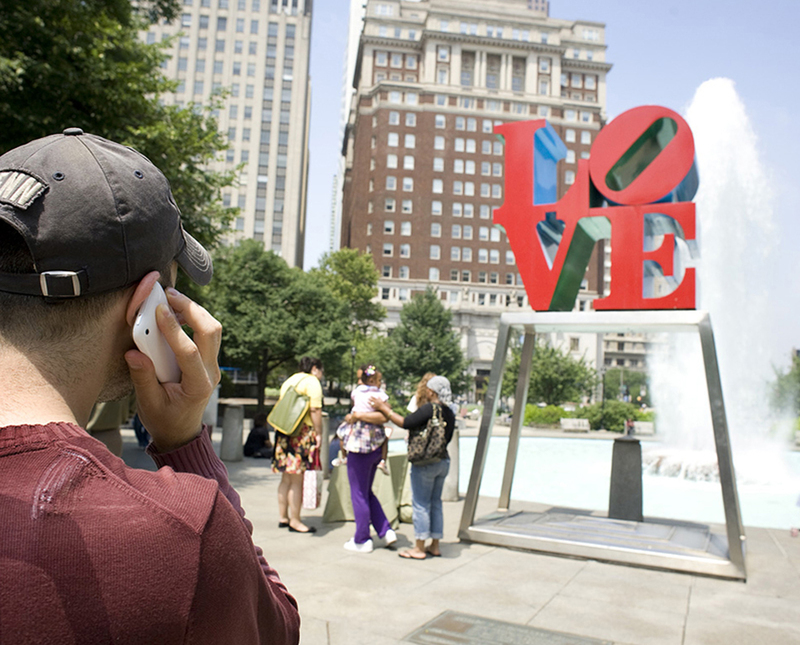 Frank Rizzo, Jr. is a former City Council member and the son of former Mayor Frank Rizzo. 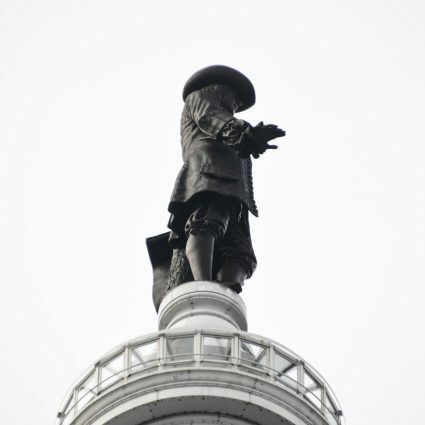 He was a driving force behind the commissioning and placing of a statue memorializing his father. Thora Jacobson is Director of Design Review for the Mural Arts Program. 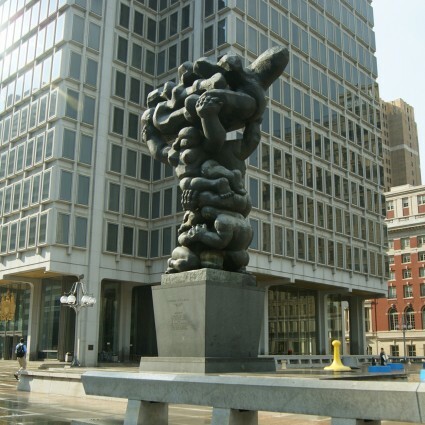 She served as Chair of the City’s Art Commission when the sculpture was initially proposed.